I always need warmth. I love to shower. I have a comfortable shower that I can use standing, but also in the future, in a (wheel)chair. Now I go there, changing from one leg to the other to feel not too much pain and tintling. It’s a good place to practice mindfulness, here an now. And that is a good opportunity to have (lots of) good ideas. A few weeks ago I read a blog of Sigrid van Iersel. She is a writer and, among other things, a creative thinker. In this blog she wrote about the ideas she has under the shower. I recognized it, at once. Not only because of the fact I did also do a course in creative thinking. Also because of the fact that it does the same in terms of mindfulness, here and now. To me the experience of showering helps me to be mindful. Imagine how it feels under the shower. To you, of course. Being in bath can feel the same for you, too. To me being under the shower feels wonderful! The warm flowing water on my body. Never too cold. Time to myself. I don’t think of pain, worries, hurries, memories. It gives me the opportunity to enjoy the moment itself, here and now. When I am in a hurry too much, it can make me sick to shower. So I take lots of time to do it. And it’s then I enjoy it, very much! 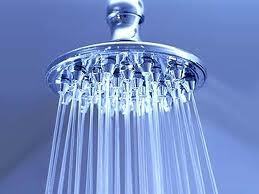 The shower and showering is for many people a time and place that helps us not to worry too much. We take time for that special moment. 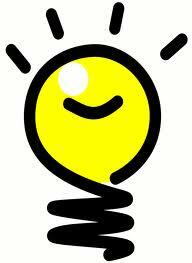 It helps us to find new, great ideas. And you know what? Sigrid’s blog and my own experience under the shower gave me an idea. I already knew it for a long time but I decided to reinvent it. So now after showering and drying I take my notebook that’s nearby on a dry place and I write down which ideas I had while showering. Sometimes I use them, sometimes I do not. A tip for you perhaps?